On Club Penguin, each penguin has its own igloo. In this book, kids will learn how to upgrade their igloos, how to visit other penguins? igloos, how to invite friends over, and more! 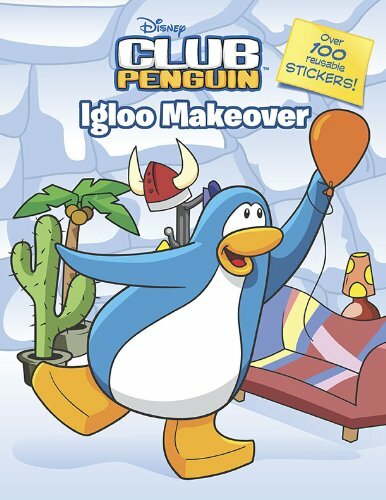 Then, readers can use the reusable stickers to decorate their igloos and create their own penguin parties. About Club Penguin (Author) : Club Penguin is a published author of children's books. A published credit of Club Penguin is Extreme Igloo Makeover (Disney Club Penguin).